Pride Month 2017 is in the books! Summertime! School is out, kids are at camp, vaca/staycations are in full effect, AC’s are blasting and Pride Month 2017 is in the books! It was so busy, in fact, it spilled into July and the month escaped us. What a team! 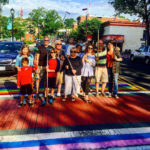 Each year, under the direction of artist Peter Cheney, the Village of Nyack Mayor Jen White,Trustees, and friends paint two crosswalks in celebration on Pride Month. 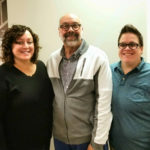 Welcome Loren Klein to the Pride Center team! Please welcome Loren Klein to the Pride Center team! Loren is the Coordinator of Transgender and Non-Binary Programs & Services. He will be working with us to meet the needs of our growing communities. 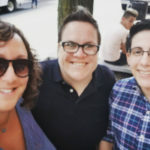 Last month, the Rockland County Legislature unanimously voted to call on the New York State Senate to finally pass GENDA. 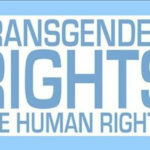 GENDA, as you may know, is a piece of NY State legislation that would protect Transgender New Yorkers from discrimination.